Oyster toadfish (Opsanus tau) are common along the east coast of the U.S., and a population is resident beneath the docks that stretch along the west side of Manhattan. 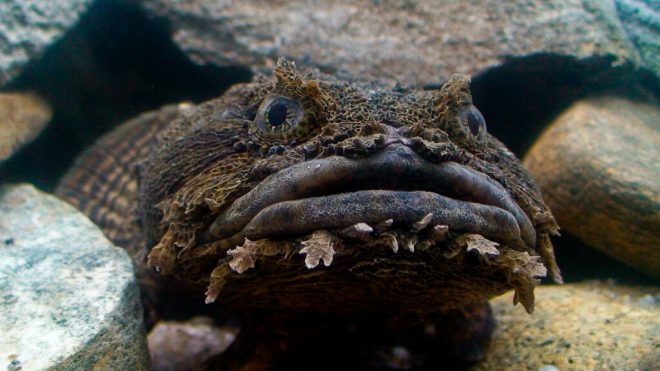 Oyster toadfish are seasonal breeders, and male toadfish take residence in a nest and produce an advertisement call to attract females. Despite living in a city famous for its rampant noise pollution, males don’t seem to have trouble using vocal calls to find mates. But how are female toadfish able to localize these males’ calls amongst boat, ferry and other anthropogenic sounds? We are interested in using the oyster toadfish as a model for studying the neural circuitry and neurochemistry underlying auditory function in a noisy soundscape. Together with collaborators from the Hudson River Project, our BUEE student would help us to collect animals, learn how to conduct sound playback experiments in the field and laboratory, and use a variety of neuroscience techniques to analyze the brain and behavior of oyster toadfish experiencing a range of acoustic environmental conditions.